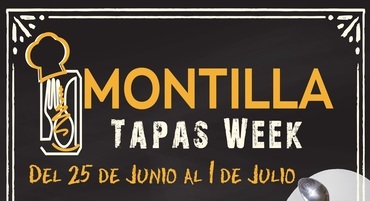 Montilla Tapas Week is a gastronomic contest where the main objective is to highlight the importance of the “tapa”, as well as the hospitality industry in the city. 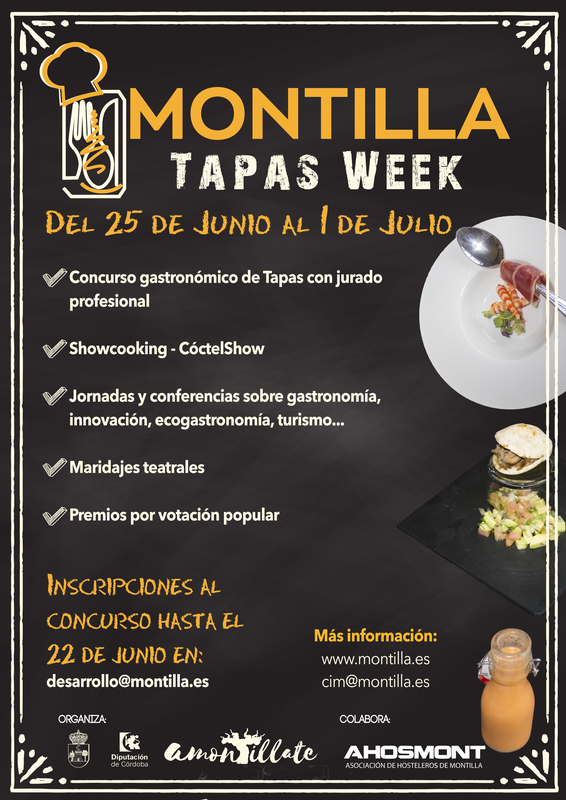 For this there will be two types of contest, one with a professional jury and the other with citizen participation, choosing the “tapa” you most liked. 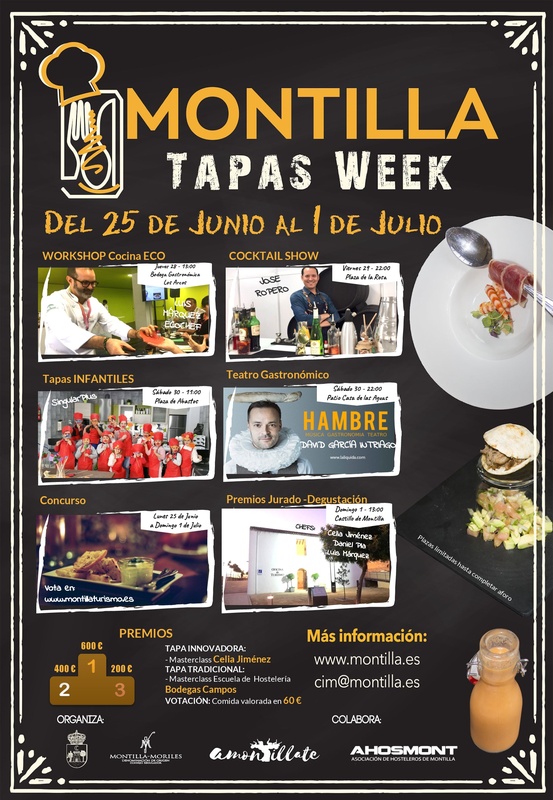 There will also be a workshop on eco cuisine, workshops on wines and their pairings or on the elaboration of cocktails with the wines of Montilla-Moriles, as well as the theater performance “Hambre”.